Collectible salt and pepper shakers have one major flaw: they aren’t grinders. Freshly ground pepper is vastly superior to the pre-ground sawdust that populates store shelves. The solution? Stick the salt and pepper shakers on the shelf and look at them while you grind whole pepper over your meal. While freshly ground pepper may taste better, it usually doesn’t come in an overly cute container. 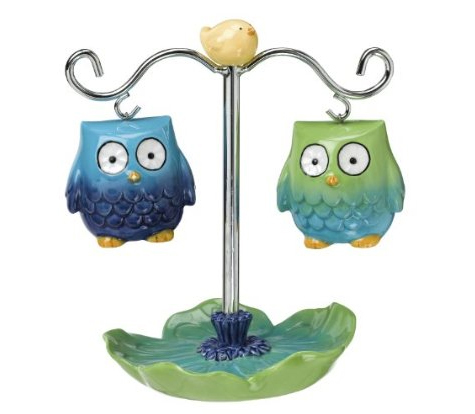 Overly cute, as in cute overload, as in: Grasslands Road Petals Owl Salt And Pepper Set . While the small salt and pepper shaker set won’t maximize the flavor of the meal, it may just be perfect for the owl fanatic on your gift list, allowing them to stare at each other throughout every meal.